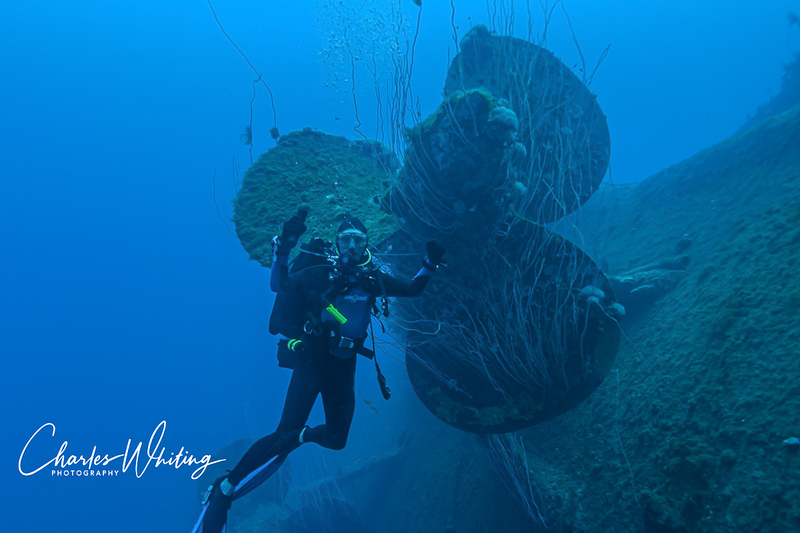 A diver poses by one of the four massive screws on the Japanese battleship Nagato. The attack on Pearl Harbour was planned and coordinated on the Nagato. Bikini Atoll, Marshall Islands. Photo © copyright by Charles Whiting.